I haven't done a housekeeping for over two weeks. Life, rut, fun and books intervened. And yet, except for the last week, there hasn't been much reading happening at my end. Right now, I'm voraciously hungry for the written word, so that's a good thing. The Boy in the Striped Pajamas by John Boyne: Umm, so I have some really strong feelings about this book. Some things I liked, but some things just made me feel disappointed that such a powerful, interesting premise wasn't developed too well. More in my review coming up this week. The London Train by Tessa Hadley: Even though this book was mostly slow, I found I enjoyed it quite a bit. This is more a book that has to be experienced to get the full import of its significance. Number the Stars by Lois Lowry: I seem to be having better luck with Newbery Medal winners than most other YA books. Which is quite relieving - I think I can stop saying that I feel old. Squirrel Seeks Chipmunk by David Sedaris: I listened to this one on my drive to and from Raleigh, last weekend. This was my first experience with Sedaris, and certainly not a great one. I was mostly disturbed through most of the stories. The Fates will Find their Way by Hannah Pittard: What an entertaining way to tell a story! Although I had issues with it, for the most part, I couldn't put this book down. The writing style is splendid, and the question of "what might have happened" was well-executed. Nicolas by Pascal Girard: Translated from the French and catalogued as a petit livres (a small book), this is indeed a really small and quick read. I read it twice within 15 minutes. It's pretty emotional in a detached way, but it didn't make much of an impact on me. The Sonderberg Case by Elie Wiesel: My senses have been fully captivated by this book. This is actually my first experience with Elie Wiesel, and I quite enjoyed the play with words and the philosophical undertones that marks much of this book. Phew! That was some listing. I need to do this more frequently. As of now, I'm reading Shantaram a little bit every day for the readalong. This book is so far wonderful. It will be August by the time I finish it. In addition, I have quite a few reads going on. 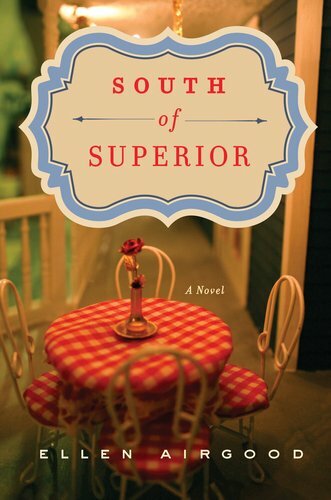 South of Superior by Ellen Airgood: So far, I'm slightly disappointed with this book. Which is not a good sentiment to have after just reading 50 pages and having still 320 pages left. The writing isn't hooking me in and I'm trying but failing to be invested in the characters. I just took a short break from it, hoping it will feel better now, because the synopsis sounded real good! 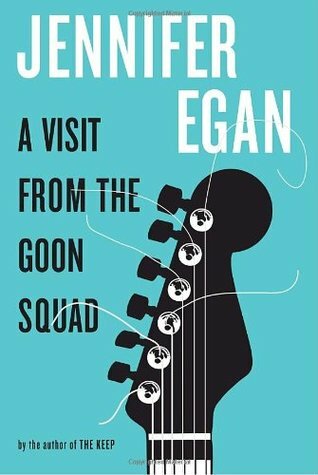 A Visit from the Goon Squad by Jennifer Egan: After sleeping over my dilemma a couple of weeks back, I realized that no matter how undecided I feel about this book, I just can't pass it without giving it a try. So at this point, I'm all eager to read this one, and hopefully see what all the fuss is about, and which side of the fence I'm going to land at. The Time Machine by H.G. Wells: The reason I'm picking this one is because I plan to start The Map of Time next week. 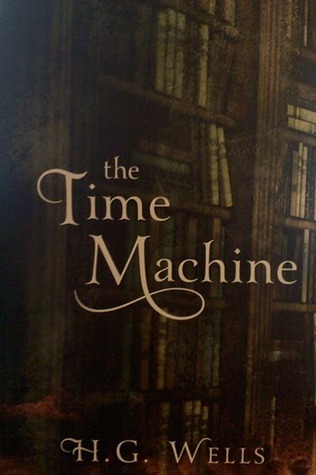 I do know that it's not necessary to read The Time Machine in advance, but since it has been in my PIE list, is a classic that I've wanted to read for ages, and because I happen to have a print copy in my bookshelf, I figured I might just give it a try! Sorry to see South of Superior is slow for you. My sister read it and really enjoyed it. Have a great week in books! I loved Boy In The Striped Pyjamas. I read it back when it was first released, before all they hype. I do remember my friend reading it at the same time though and she wasn't impressed. She found it too predictable. I had mixed feelings about Goon Squad, which I read last year as an ARC. I pulled my review and reposted it on one of my blogs (http://takingarisk.wordpress.com/); then I realized that only parts of the book really bugged me. Hope you like it. Aths, I just finished Good Squad and loved it! I'm looking forward to your review of the book - can't wait! I will be looking forward to your review of The Map of Time - sometimes I really want to read it, sometimes I am not interested at all. Maybe your review will help make up my mind :D I read The Time Machine as a child - very interesting premise, but unfortunately it was too slow for me. It took me ages to complete the book. I hope you like it better than me. Oh no. South of Superior looked so good. I'm glad that your sister enjoyed the book. I'm hoping it's just a starting trouble and that it picks up soon. It's so much better reading a book at the start as opposed to after many readers have analyzed it deep. I do wonder what I would have felt, had I read it then. Thanks for the link! I'm definitely going to check it out. Oh yay! I can't wait to read it either! Wow! That's a whole gamut of reactions! I liked the movie a lot - I thought it was well-done and pretty realistic. The book, hmm, not so great. I read a couple of lines from The Time Machine, and it is a slow one. For a thin book, the wordiness is intense. I think it will take me a while! I know. It sounded fabulous to me. I hope it will pick up soon! The David Sedaris book is already on my wishlist. Now I'm adding the London Train too. Thanks for stopping by! I hope you still get some good reading in! The Sonderberg Case looks like something I would enjoy! I'm going to check out your review of The London Train. Happy Reading!! You might enjoy Sonderberg Case. It reads more like a drama (not a play) than a regular novel. I found it very thought-provoking! I am really looking forward to reading The London Train! What a great week you have had! It's funny to think that Shantaram will appear on our blogs for the next 2 months! I am so glad you liked Number the Stars as I think it is a wonderful book. I'm interested to see what you didn't like about Boy in the Striped Pajamas since it definitely isn't one of my favorite Holocaust books. I remember reading Number the Stars in middle school and loving it. Happy reading! I can't wait to hear what you think about The London Train! It's seems to either get really positive votes or meh ones. I'm looking forward to hearing your thoughts on Squirrel Seeks Chipmunk! It was just meh for me, but I hope you enjoy it! Number the Stars was such a good book! Yay - can't wait to see what you think of The Map of Time. 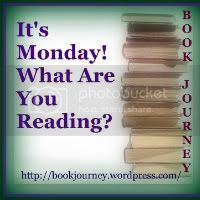 I was thinking - do I want to put a picture of Shantaram in every Monday post now? Then I figured I can just leave a line about it and stop it there. Number the Stars was really good. I appreciated how well it was written! I loved Number the Stars! It was really good! I agree - the ending is really shocking. I did see it coming, because I knew there is a shocking ending, but nevertheless it had impact.